Gunther is ready for a foster or fur-ever home. Gunther came to us as a medical case from another shelter. He was completely emaciated and had a terrible case of sarcoptic mange (before photo shown above). Since being at the barn Gunther has filled out beautifully. He is now a big, beautiful bulldog mix with no more health issues! Gunther has had several overnight visits with a couple of our volunteers and they describe him as the perfect house guest. These amazing volunteers have been working with him almost daily on training and he is doing great! Gunther loves to play but like most big smooshy dogs he loves a good snuggle. His only demand is that you let him snuggle in your bed once and awhile! Gunther wants all the snuggles to himself so he needs a home with no other animals. He is also a pretty big boy so he needs a strong handler and a family that is interested in keeping up with his training. Gunther is super smart and really enjoys being challenged intellectually. 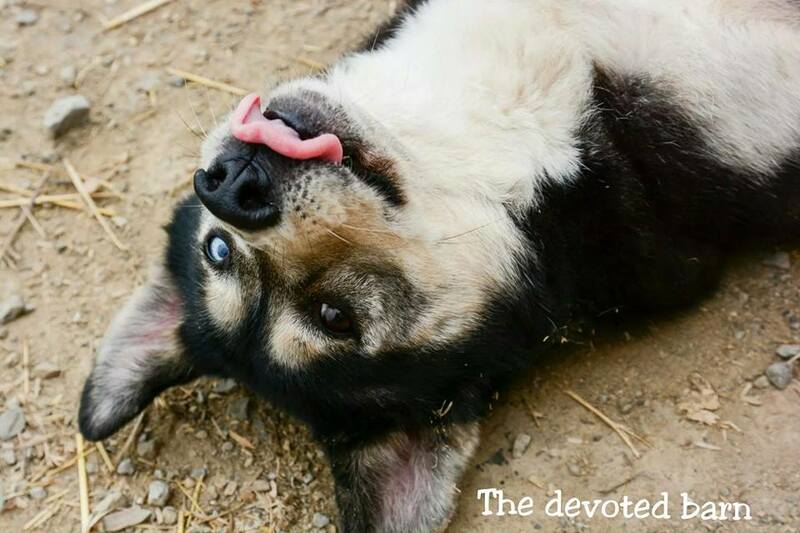 The Devoted Barn has been offered from an anonymous sponsor to pay for the adoption fees and Melissa from The Devoted Barn will sponsor 14 in house training sessions from K9 Turbo Training (K9Turbotraining.com). This is a win-win for all, all we ask is that Gunther is in loving house and continues with all his training and lots of love and cuddling.